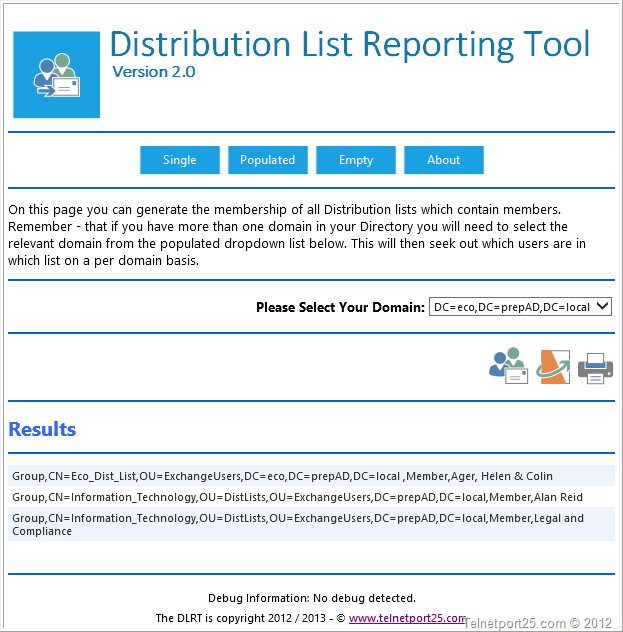 A couple of weeks ago I released Version 1.0 of the Exchange Distribution List Reporting tool. Since then there have been a couple of updates to the original 1.0 code (versions 1.1 and 1.2) – however today I would like to present version 2.0 of the code. I have been working on the DLRT for some months – therefore I have had a few code bases in development – and the changes in this release represent an amalgamation of all the development code that I have on my servers. The original code contained within the version 1.0 release article has now been replaced with Version 2.0. The installation and upgrade process between the two versions is the same (e.g. run the setup executable and install over the top) – the IIS and Active Directory configuration remain the same. I have also included a full Installation and Users Guide within this download section. Please see the PDF download in the download section. As a quick preview – I have included some screen grabs of the tool below. 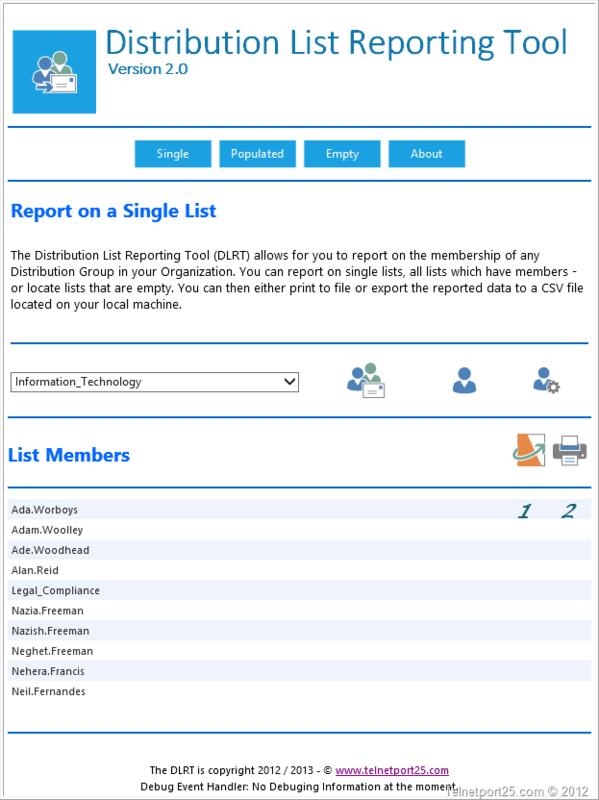 I hope that you enjoy the DLRT tool as much as I have enjoyed writing it – and of course that you find it useful. I am having a few issues with the final part of this (love the idea though). All installed on the Exchange 2010 CAS server as per your instructions but I am having issues with SSL. I have disabled SSL on the “Reporter” site but for some reason IIS redirects to http://localhost/owa/Reporter and not http://localhost/Reporter. With this in mind all of the physical path is incorrect etc C:\Program Files\Microsoft\Exchange Server\V14\ClientAccess\owa\Reporter which is not what I inputted? Apologies for the dum question I am hoping you will come back to me!! Useful info. Lucky me I discovered your site by accident, and I’m stunned why this coincidence didn’t came about in advance!